Primavera P6 Training that leads to mastery! Watch P6 videos, build real projects, track your learning. 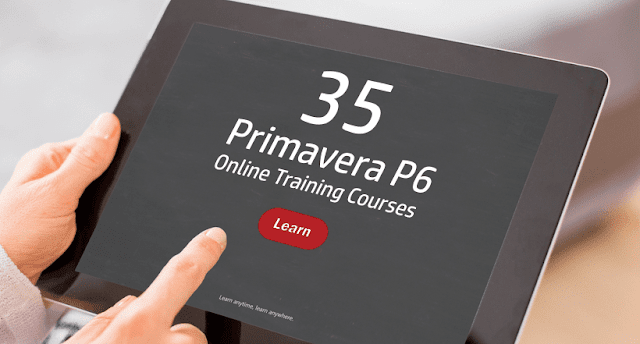 We make learning Primavera P6 simple! Introduction to scheduling, Including discussion on the evolution of scheduling, The Critical Path Method, Time management and the Critical Path, identifying what is critical, and more. Overview of the Primavera P6 workspace, introduction to P6 the available tools and functions and the customizable toolbar. Introduction to the three basic areas of the P6 workspace, and more. An introduction to the Primavera P6 Enterprise Project Structure, P6 hierarchy overview and breakdown, and more. Learn The basics of creating a project in Primavera P6. This lesson covers Building a Work Breakdown Structure in Primavera P6. Working with calendars, calendar types, adding activities and assigning them to calendars and more. Avoid printing a scrunched start or finish milestone on your P6 gantt chart with this clever solution. Bill Pepoon, Managing Partner at Construction Science and Primavera Scheduling, explains the proper way to create baselines in Primavera P6. In our experience the vast majority of P6 users are not using baselines correctly. In less than 20 minutes you can become an expert at creating P6 baselines! This video covers how to use fill down in Primavera P6 Professional to change a value on all or a select number of activities. Fill down is a time saving feature that is used in the layout without having to define any filters or parameters as used in Global Change. The purpose of this video is to show the viewer 2 ways of diplaying baseline information in Primavera P6 (Columns and Gantt Chart).